What is the proper way to balance a HVAC system? Using the SMACNA TAB procedural guide is great method to properly balance a HVAC system. What is the proper way to test and balance a HVAC system? Hiring a current certified contractor certified by a national certified body that has ASNI accredited TAB technicians and who works for a Certified TABB contractor while following SMACNA Testing Adjusting and Balancing procedures. This also helps meet ASHRAE 90.1 requirements. What is the proper way to test adjust and balance a HVAC system? Following the SMACNA Testing Adjusting and Balancing Manualalong with the ASHRAE Standard 111. Is there a proper procedure for balancing a HVAC system? For most HVAC systems yes, but there are cases where a HVAC balancing professional has to use experience and judgment to balance a HVAC to meet an engineer’s design intent. SMACNA has an industry leading Procedural Guidefor testing adjusting and balancing a HVAC system. Does TABB have a TAB Procedural Guide available upon request? Yes, feel free to request a TABB Procedural Guide for TAB. How can I find a TAB contractor in my area? Using the Find a Contractor link on this website is the best way to find recommendations for testing adjusting and balancing a HVAC system. Does TABB have specific recommendations for testing and balancing a HVAC system? Yes, by following the TABB SMACNA national TAB Procedural Guide. How can a spec writer learn how to properly test a HVAC system? TABB offers lunch and learns for spec writers and engineering firms. Are there differences on how to properly test adjust and balance a HVAC system? Yes, and TABB specifically uses proportional balancing in all certification testing. What are ASHRAE requirements for testing adjusting and balancing a HVAC system? Following the ASHRAE 110 standard. Do Certified TAB contractors follow the ASHRAE requirements for testing a HVAC system? Yes, when this in the job specifications. Can balancing a HVAC system solve Indoor Air Quality (IAQ) issues associated with testing adjusting and balancing? Many times making a HVAC system work properly can eliminate common IAQ complaints. What are ASHRAE TAB procedures? These can be found in the ASHRAE 110 standard. Where do TABB techs learn how to balance a HVAC system? TABB works with over 150 training centers across the United States for training of techs. Can testing adjusting and balancing a HVAC system truly lower energy use? Yes, that is one of the reasons why most job specs and building codes mandate TAB to obtain a certificate of occupancy. What codes mandate HVAC testing adjusting and balancing? The UMC and the IMC both have jurisdictions that mandate TAB be done as part of the construction process. Does TABB do the testing adjusting and balancing on HVAC systems? No, TABB does not perform the TAB work; TABB does certify contractors to do the TAB work on HVAC systems. Why is HVAC testing and balancing needed? It is common to oversize duct systems and piping systems, and include balancing dampers in the system to fine-tune the HVAC systems to meet the design intent. How is HVAC engineering and TAB monitored? Typically by construction documents and building codes. Can HVAC comfort issues be resolved by testing adjusting and balancing a HVAC system? Yes, that is one of the biggest reasons for TAB and getting the proper air to the proper space. What is the first step in addressing IAQ complaints? Getting a clean bill of health on the HVAC systems can resolve many IAQ complaints. What are the International Mechanical Code requirements for testing adjusting and balancing HVAC systems? This is usually referenced by addendum in state and local codes. What is the best way to find the state and local code IMC requirements for testing adjusting and balancing HVAC systems? Reach out the local Authority Having Jurisdiction (AHJ) on building codes adoptions. What are the Uniform Mechanical Code requirements for testing adjusting and balancing HVAC systems? The Uniform Mechanical Code or UMC requires the testing adjusting and balancing of HVAC systems. When I read TABB HVAC TAB I get confused by the acronyms. Can you please explain? TABB is the Testing Adjusting and Balancing Bureau, HVAC is heating ventilating and air conditioning, and TAB is testing adjusting and balancing. How can I get my office more comfortable? Have an ANSI accredited certified testing adjusting balancing contractor adjust the HVAC systems to meet your comfort and efficiency needs. What if my building is not heating or cooling properly? Have a TABB TAB firm review the design documents and take the flow reading from the HVAC system. Can TABB help if I am too hot in my office? Yes, in most situations, adjusting the HVAC system to meet design intent can cool an office down. If I am too cold in my office, can I find a TABB certified contractor? You can go to our website home page, select Find Contractor, select TAB contractor, enter your zip code and the closest certified contractors will be shown. Sometimes I am too hot in my office, and sometimes I am too cold in my office. Will TAB solve this? Yes, many times balancing a building will resolve comfort complaints. Where can I get specifications for testing a HVAC system? TABB has model specification for your use. Download themhere. They are in Word format so you can easily make changes to them. What are considered proper specifications for HVAC TAB? There are no blanket specs for TAB since every building is different. What do proper specifications for HVAC balancing contain? The job specs must direct the TAB contractor to meet the design engineer’s intent. Why is TAB needed on every job? Because all air ducts and hydronic piping systems use nominal sized ducts, which makes every duct oversized. Is there such a thing as a chilled water balancing method? This is covered in the TABB/SMACNA Procedural Guide. What is a major concern when air balancing a HVAC system? First step is making sure every branch duct has a balancing damper installed in it. Are the testing, adjusting, balancing of HVAC air and water systems done at the same time? Yes, this is typically done in tandem. How does ANSI accredit TABB for HVAC testing adjusting and balancing of HVAC? By auditing ICB annually, to make sure all parts of ISO 17024 are being followed. How often does TABB undergo an ANSI audit? We are required by ANSI ISO 17024 to have an annual audit. Do certified TABB technician’s independent air balance the job? Yes and no; they carry an ICB/TABB certification and work under a TABB certified supervisor and a contractor who has met all ICB/TABB requirements. Where can an engineer find air balancing formulas? Formulas can be found here. Are HVAC test and balance report formsstandardized by TABB? No, there are no true standardized TABB report forms. Does TABB provide air-balancing forms for download? Yes, TABB has TAB report forms available for download. I would like to have several test and balance companiesbid my work. How should I proceed? Simply use the TABB website input the zip code and contact the balance companies provided on the list. Proportional balancing is the HVAC balancing procedure using the ration of flow of each terminal device. 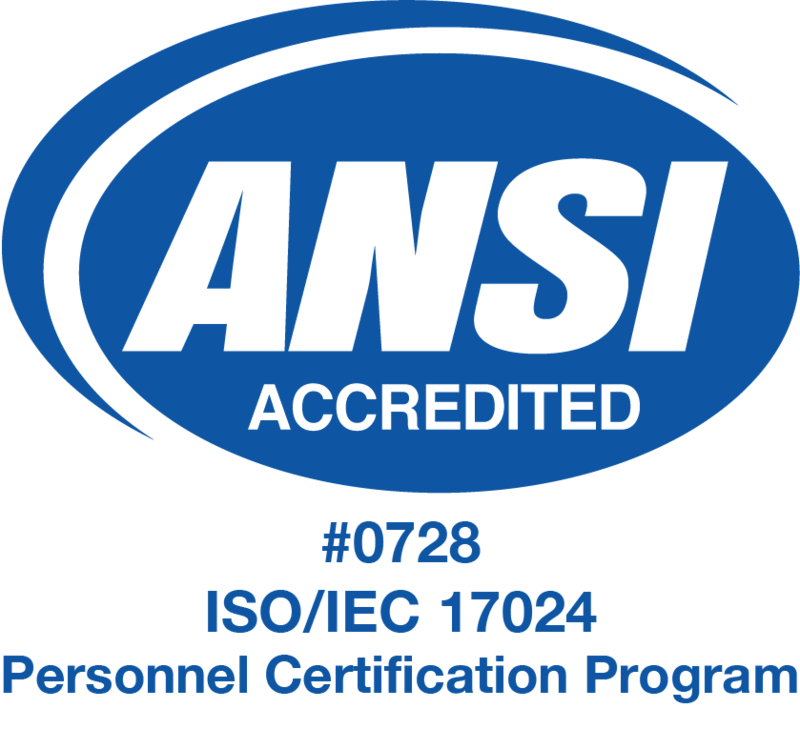 What is the significance of a TABB technician certification being ANSI accredited? This adds to the credibility of accurate data provided on HVAC balancing reports. How does having a properly balanced HVAC system increase energy efficiency? By delivering the proper amount of air to where the engineer designed it to go. How do I become a TABB certified technician? Qualify, take a written exam and pass, then take an 8-hour hands-on practical exam in a certified TABB lab. How do I become a TABB certified Supervisor? Qualify and pass a rigorous exam. Who is performing testing adjusting and balancing near me? You can find qualified firms by using the Find a Contractor button on this website’s home page. Where is the starting point of balancing an HVAC system? Review of the engineers design documents. When and how often should the HVAC system undergo testing adjusting and balancing? After construction and after any remodel. Why perform testing adjusting and balancing of the HVAC system? Systems and equipment are typically always nominal sized so it is unlikely to deliver the designed amount of air or water unless it is properly balanced. How do I know if my HVAC system is correctly balanced? By hiring an ANSI TABB certified contractor. Does the building have to be air tight to correctly perform tab on the HVAC system? No, many times this is factored in the HVAC design so the balancing contractor needs to tune the building’s HVAC system. Are TABB certified technicians certified to work only on forced air systems? No, they can work on any fluid flow involved in the HVAC system as well. How do turning vanes affect the airflow? They help reduce the dynamic loss of a HVAC duct fitting. How do extractor vane dampers affect the airflow? Testing has shown extractor vanes raise energy cost and should be removed. Why does it get colder (winter) or hotter (summer) in my office when I shut the office door? One cause is the air is not allowed to leave the room and enter the return air system. Why does the chilled beam condensate and drip water? Because the chilled beam is at or below the dew point. What will happen if I close-off the R/A register in the room? The room will not be properly conditioned.